Ride through the waves on horseback! 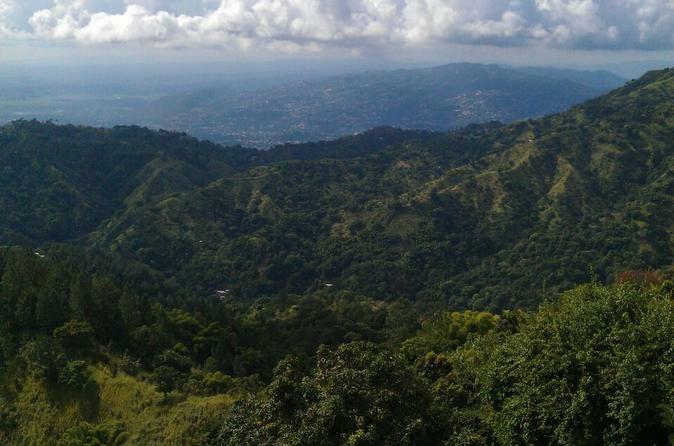 Discover the rich history of Jamaica as you ride on through the countryside. 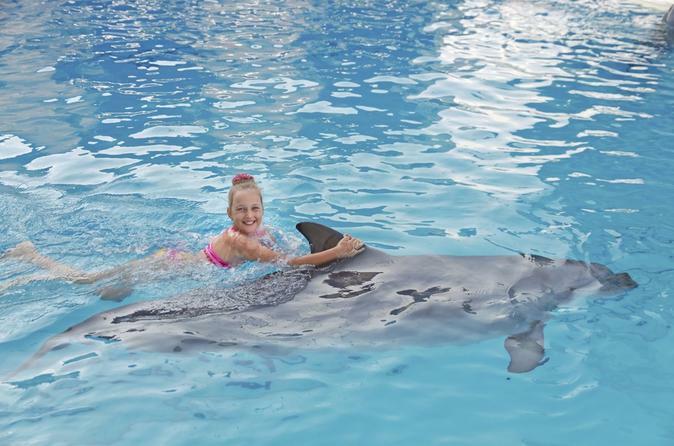 Stop at the beach, where you'll have time to relax before heading into the shallow waters on your horse! 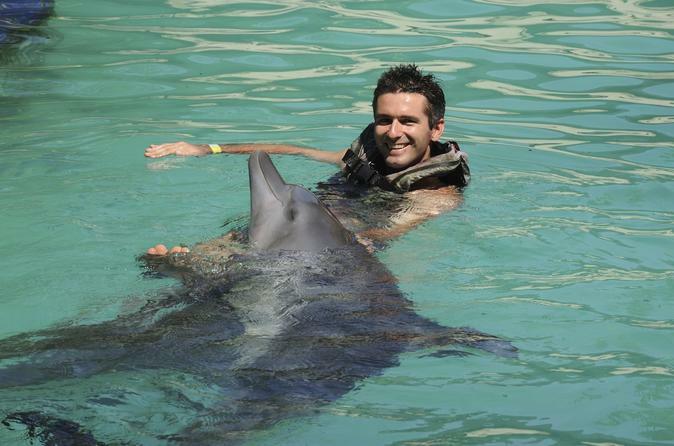 Designed for all experience levels, this tour is ideal if you're up for some adventure! 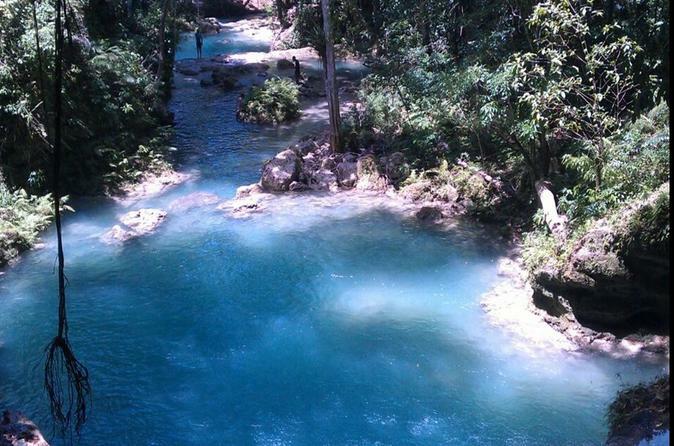 Visit the hidden treasure and the number one place to see in Ocho Rios - Blue Hole. 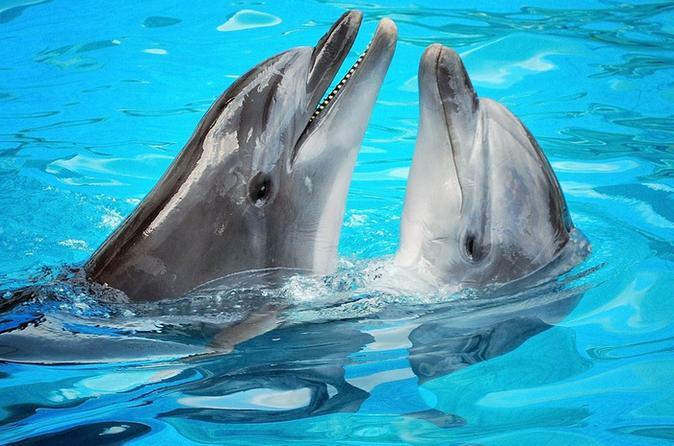 This is a must see when you visit the beautiful island of Jamaica! 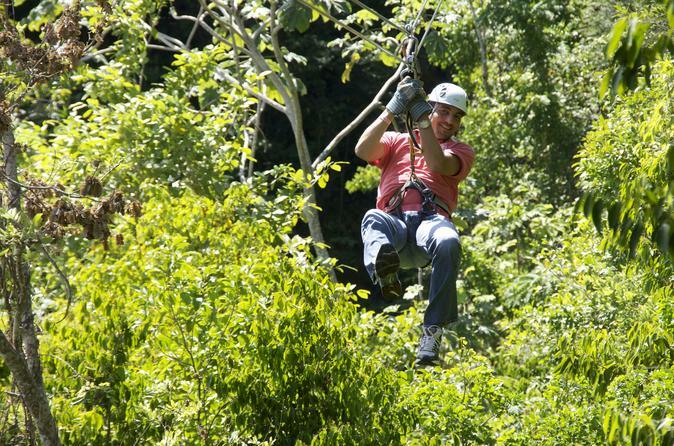 Pack in a punch of fun with this 2-hour ATV tour of Ocho Rios. 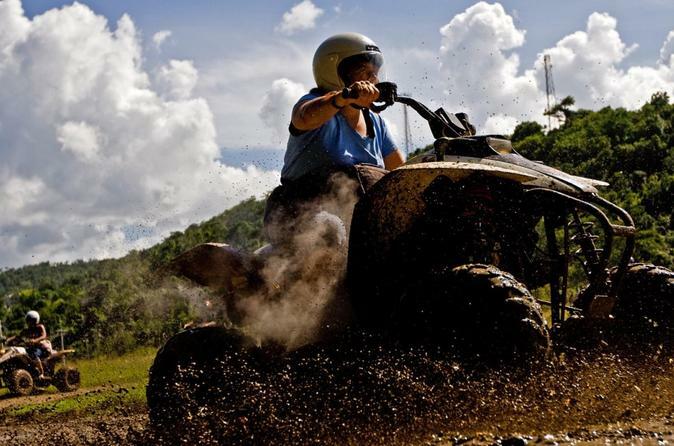 Kick up dirt as your all-terrain vehicle takes you on a mostly off-road adventure through rugged dirt trails, tropical woods and two of Jamaica's oldest sugar estates, Richmond and Llandovery. Capture fantastic views of the Caribbean, and learn about local history and horticulture from a knowledgeable guide. Then journey to a private cove where you can leap off a cliff for a refreshing dip in the sun-dappled waters below. Hotel transport is included. 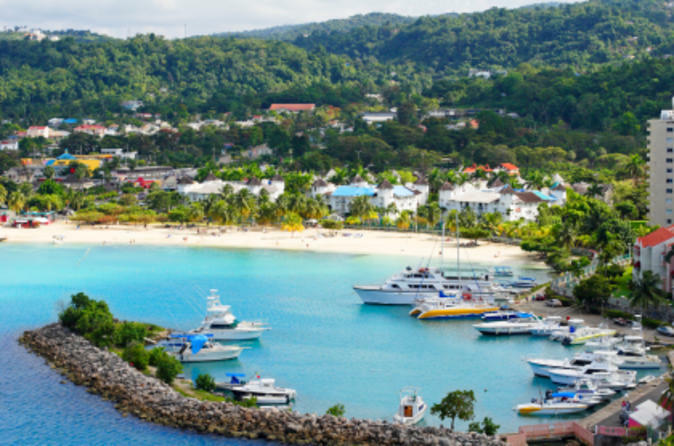 See one of Jamaica’s remarkable natural wonders while in port in Ocho Rios. A shore excursion to the Green Grotto Caves will leave you filled with wonderment at the beauty of this Caribbean island. 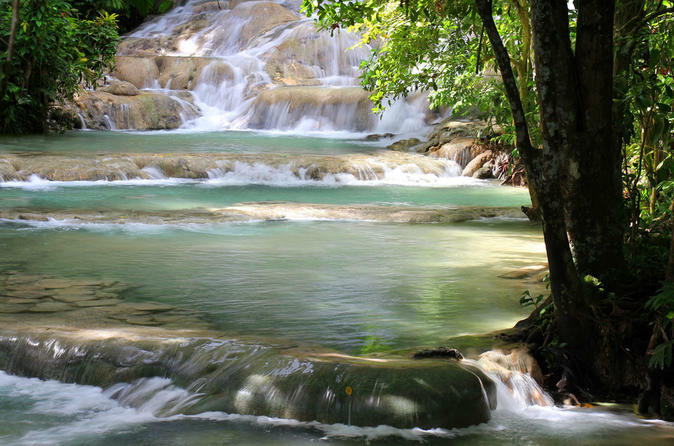 Discover two magnificent rivers in one day with a rafting adventure down the Martha Brae River and a tour of Dunn’s River Falls. 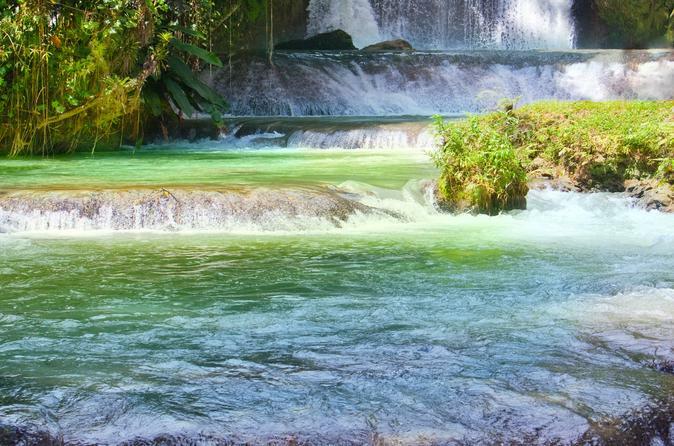 Learn about the beautiful surrounding scenery from your local guide as you float down the river, and then cool off with an easy climb through the cascading waterfall at Dunn’s River. 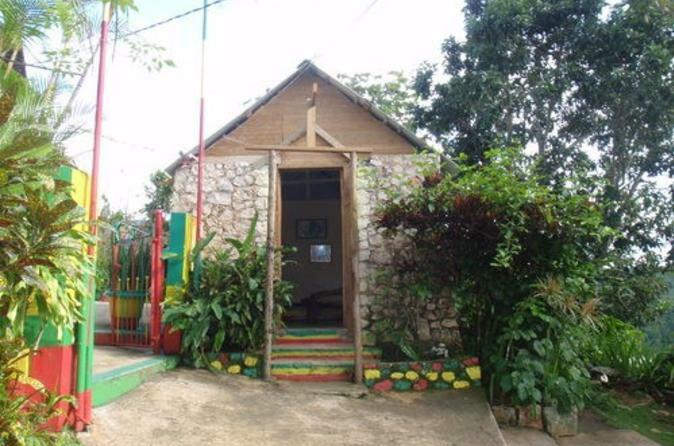 Enjoy an amazing day on this private tour to the Bob Marley Mausoleum at Nine Mile in Saint Ann Parish full of adventures! Learn about the life of the reggae superstar and the Rastafarian religion. 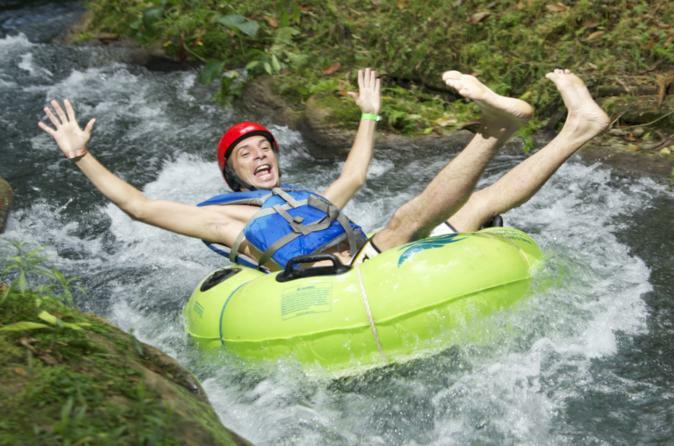 Have a blast on this combo private tour to the blue hole and calypso tubing for a fun-filled day of activities. 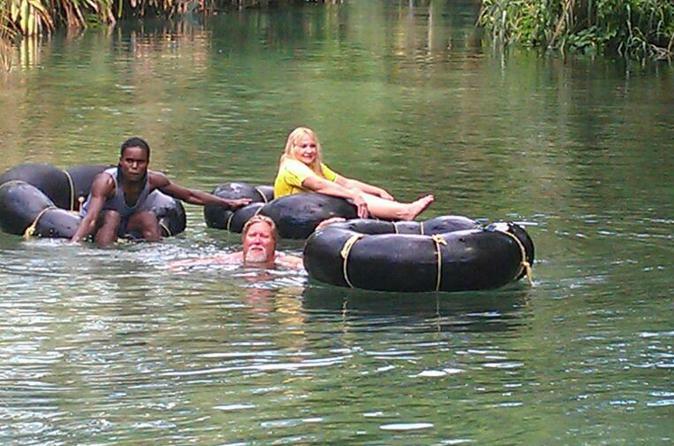 Come and enjoy the best of Jamaica and it's nature! 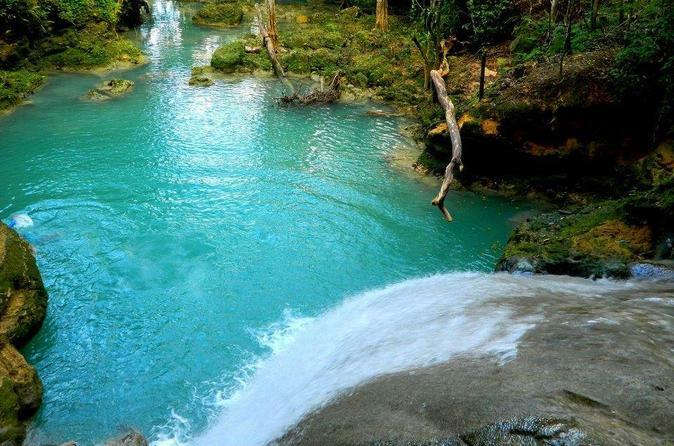 Blue Hole, "Island Gully","Hidden falls", "Secret Falls, are some of the names given to this hidden treasure which is nestled in the hills of the White River Valley. This tour is designed for the young and the young at heart. 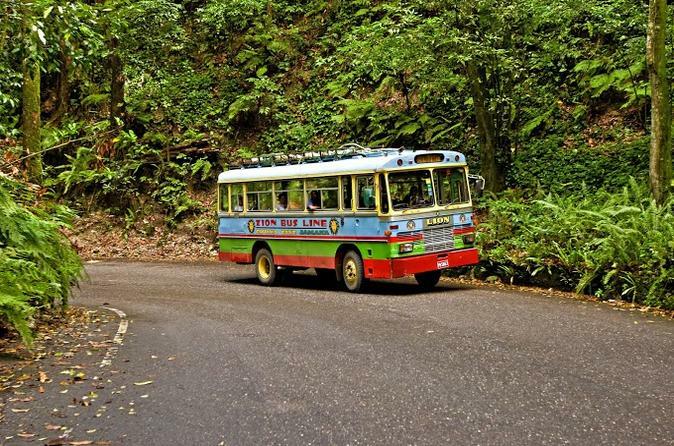 You will begin your journey with a scenic drive up the hills through the rainforest and the amazingly beautiful landscape, as you make your way to Island Gully/Blue Hole which remains in its pristine condition. At this hidden attraction you can take a swim in one or more of the blue pools, or jump off the waterfalls, or just take a swing on a Tarzan rope.